The author of this book might have been motivated by anger. When I get annoyed at stuff, I write. For a long time, I thought maybe something was wrong with me for using such a negative feeling until I read a portion of Neil Gaiman’s new book A View from the Cheap Seats. There’s a section at the very end that talked about how famous author Terry Pratchett (Small Gods and a lot of Discworld stuff) used anger as his motivation. In a lot of ways, Pratchett was a humorous writer, so to me, it was surprising that he used anger to drive him to write. Anger is more extreme than annoyance, and Pratchett had some stuff going on in his personal life that justifiably caused extreme emotions. But when I go through an extreme emotional phase, I can’t concentrate on being creative. Anger is too much for me, but something minor like annoyance? I constantly use annoyance as motivation, which is good because recently there’s been a lot of minor stuff that I’ve found annoying. Maybe I’m getting more annoyed with more stuff as I’m getting older, but it’s been very easy for me to write recently. Some kid got on national TV for doing mediocre celebrity imitations. A lot of people can do celebrity imitations, but since this was a kid, he got on television. I don’t like it when kids get on television. Almost every show/movie I watch is ruined by kid actors. Plus, being on television teaches kids a bad lesson. Once they’re adults, it’ll be almost impossible to get on television again. They will have peaked as kids. They’ll live the rest of their lives knowing the best is behind them. Then again, that’s what YouTube is for. But by the time today’s kids are adults, television might be what performers do when they can’t make it big on YouTube. Anyway, I don’t have to watch kids on TV because when they show up, I suddenly feel motivated to write. Overenthusiastic applause and cheering is annoying. I can’t watch talk shows or late night shows because the audiences cheer too much. When somebody tells a mediocre joke, the audience laughs too hard. It’s not their fault; they’re having a good time. I don’t want them to change their ways. I can either turn on the captions, or I can change the channel. Or better yet, I can go write. Almost all new popular music is annoying. That new Ghostbusters theme song by Fall Out Boy is annoying. Even the movie looks annoying, and it’s not because the cast is all-female. The cast seems all-obnoxious. In the original Ghostbusters, only Bill Murray was obnoxious, and his character was punished for it almost as often as he was rewarded. I like movies where obnoxious behavior gets punished, even if it’s just a little bit. There’s going to be a lot of Ghostbusters hype, so I might be in the mood to write a lot soon. You can’t really define annoying. All of us have different standards. A few years ago, a study found that the word moist was considered to be the most annoying word in the English language. Moist has no effect on me. To me, share is the most annoying word. I had a teacher who pronounced share as “shaaaaaaaaiiiiiiirrrr,” and she said it a lot. Back then, I didn’t write when I got annoyed. I just shivered and looked down at my desk. Now that I’m an adult, I have more control over my own actions. When I get annoyed, I can close the door and write. For a while, I believed I was being too negative for letting my annoyances motivate me to write. Then I realized, if anything, I’m lucky I live today. With so much new content on TV and the internet, it’s easy to find annoying stuff. And that makes it much easier for me to write. What do you think? 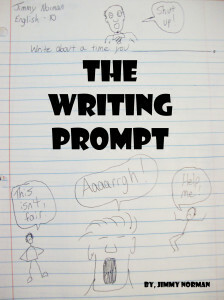 What emotion/feeling motivates you to write? What do you find annoying? um, I think all emotion motivates me to write on some level about something. This is a cool perspective. What motivates me to write is also negative emotions, like sadness and pain. But sometimes life experiences motivate me to write too. Anger/annoyance motivate me to write, but mostly what comes out isn’t very creative. Sometimes I write letters to people and try to get them to change the things I’m annoyed about. Or I reorganise furniture. Especially in my old house. I can’t write fiction at the best of times, so it’s awesome that you can concentrate on things that aren’t whatever’s making you cross. I knew a man once who pronounced poetry “poy-tree”. Maybe it was just his West Country accent. Unbearable. Also people, including Presidents of the United States, who pronounce nuclear “nucular”. Also find things ruined by child actors, apart from the one or two who seem to have a natural ability, as opposed to being trained, inadequately, by drama schools. Anger does motivate me to write, but not necessarily the things I want to write (my novel or poetry). It steers me more towards non-fiction and personal essay, which feels like a cop-out to me. Control, structure motivate me to write. Have so little of either in daily work life. It helps…a lot. 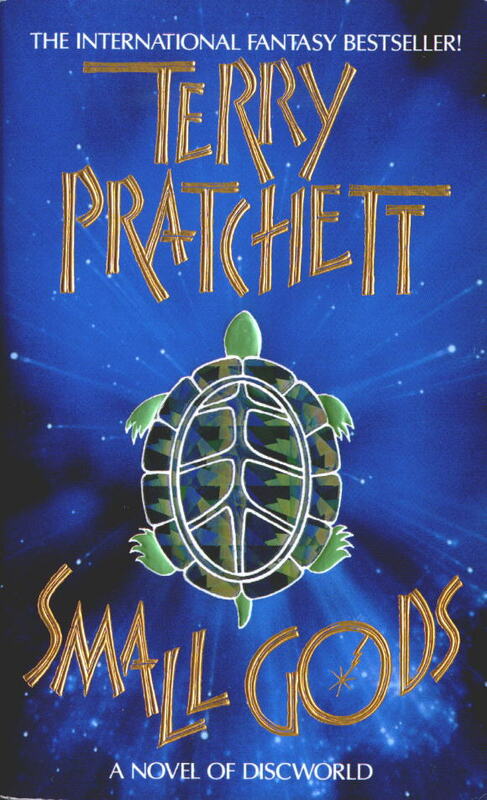 I never knew Pratchett used anger as a motivator, though he was always making digs at what he saw as injustice or hypocrisy in our world through the lens of the Discworld. I don’t write whem I’m angry or annoyed. I yell, slam doors, snap at my son to step away from the computer game and go get a life, grind my teeth at yet another football game on the TV … Writing the anger out sounds much more positive.